Star Wars is an American epic space opera franchise consisting of a film series created by George Lucas. The film series has spawned a media franchise outside the film series called the Expanded Universe including books, television series, computer and video games, and comic books. These supplements to the film trilogies have resulted in significant development of the series' fictional universe. These media kept the franchise active in the interim between the film trilogies. The franchise portrays a universe which is in a galaxy that is described as far, far away. It commonly portrays Jedi as a representation of good, in conflict with the Sith, their evil counterpart. Their weapon of choice, the lightsaber, is commonly recognized in popular culture. The fictional universe also contains many themes, especially influences of philosophy and religion. The first film in the series was originally released on May 25, 1977, under the title Star Wars, by 20th Century Fox, and became a worldwide pop culture phenomenon, followed by two sequels, released at three-year intervals. 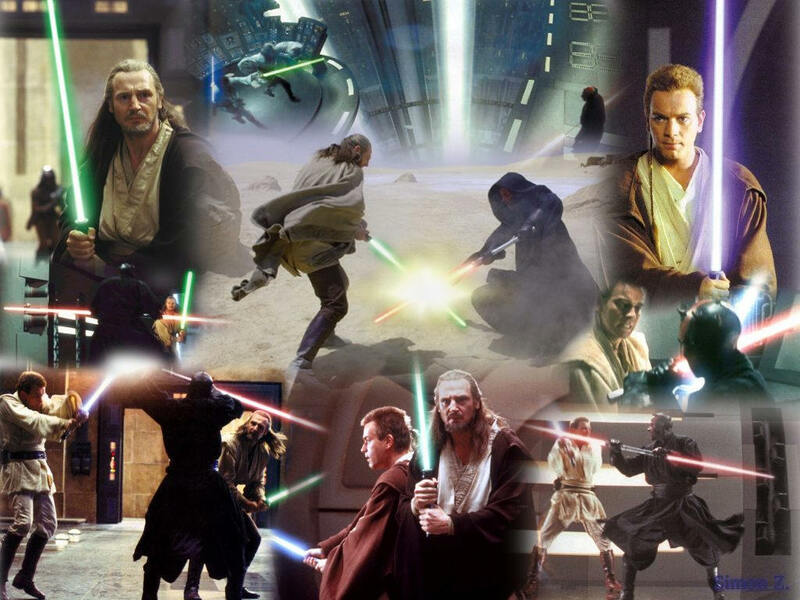 Sixteen years after the release of the trilogy's final film, the first in a new prequel trilogy of films was released. he three prequel films were also released at three-year intervals, with the final film of that particular series released on May 19, 2005. In October 2012, The Walt Disney Company acquired Lucasfilm for $4.04 billion and announced that it would produce three new films, with the first planned for release in 2015. 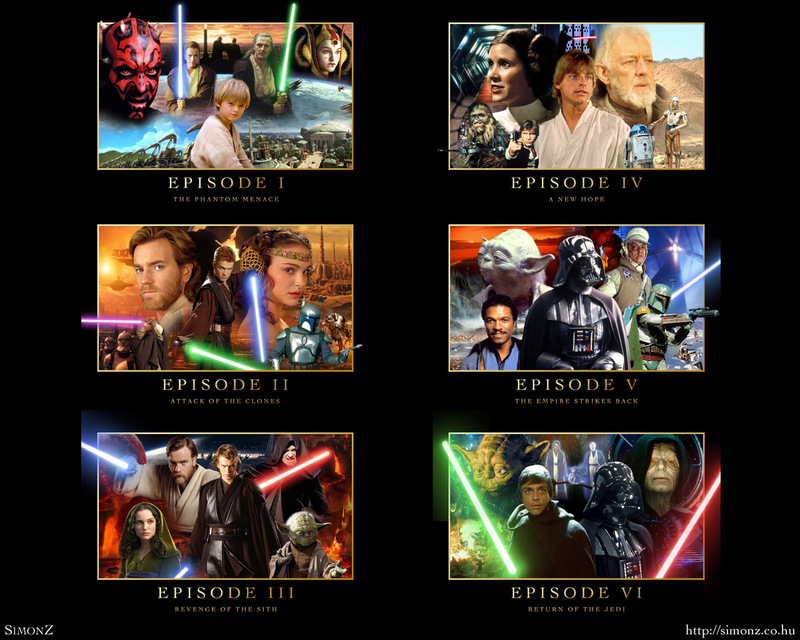 Reactions to the original trilogy were mostly positive, with the last film being considered the weakest, while the prequel trilogy received a more mixed reaction, with most of the praise being for the final movie, according to most review aggregator websites. Some of the films in the series were also nominated for or won Academy Awards. All of the main films have been a box office success, with the overall box office revenue generated by the Star Wars films including the theatrical Star Wars: The Clone Wars, totalling $4.49 billion,making it the third-highest-grossing film series.The success has also led to re-releases in theaters for the series. The events depicted in Star Wars media take place in a fictional galaxy. 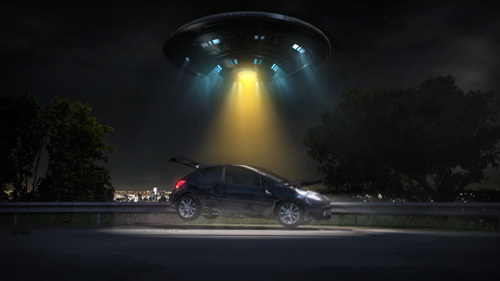 Many species of alien creatures ,often humanoid are depicted. Robotic droids are also commonplace and are generally built to serve their owners. Space travel is common, and many planets in the galaxy are members of a Galactic Republic, later reorganized as the Galactic Empire. One of the prominent elements of Star Wars is the "Force", an omnipresent energy that can be harnessed by those with that ability, known as Force-sensitives. It is described in the first produced film as "an energy field created by all living things that surrounds us, penetrates us, and binds the galaxy together." The Force allows users to perform various supernatural feats ,such as telekinesis, clairvoyance, precognition, and mind control ,and can amplify certain physical traits, such as speed and reflexes; these abilities vary between characters and can be improved through training. While the Force can be used for good, it has a dark side that, when pursued, imbues users with hatred, aggression, and malevolence. 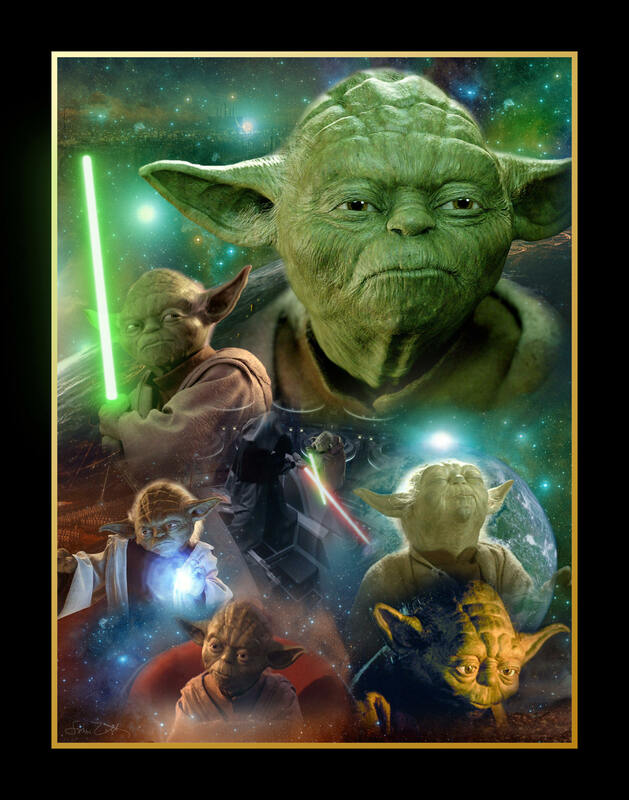 The six films feature the Jedi, who use the Force for good, and the Sith, who use the dark side for evil in an attempt to take over the galaxy. 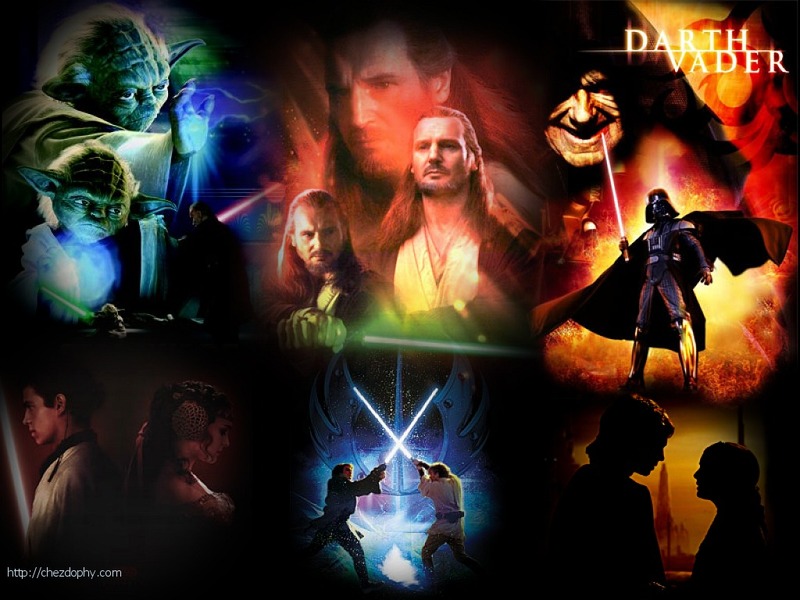 In the Star Wars Expanded Universe, many dark side users are Dark Jedi rather than Sith, mainly because of the "Rule of Two"
The film series began with Star Wars, released on May 25, 1977. 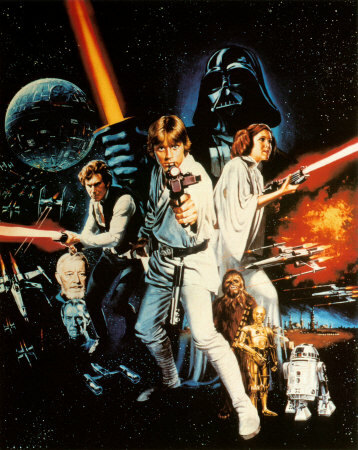 This was followed by two sequels: The Empire Strikes Back, released on May 21, 1980, and Return of the Jedi, released on May 25, 1983.The opening crawl of the sequels disclosed that they were numbered as "Episode V" and "Episode VI" respectively, though the films were generally advertised solely under their subtitles. Though the first film in the series was simply titled Star Wars, with its 1981 re-release it had the subtitle Episode IV: A New Hope added to remain consistent with its sequel, and to establish it as the middle chapter of a continuing saga. In 1997, to correspond with the 20th anniversary of A New Hope, Lucas released a "Special Edition" of the Star Wars trilogy to theaters. The re-release featured alterations to the three films, primarily motivated by the improvement of CGI and other special effects technologies, which allowed visuals that were not possible to achieve at the time of the original filmmaking. Lucas continued to make changes to the films for subsequent releases, such as the first ever DVD release of the original trilogy on September 21, 2004 and the first ever Blu-ray release of all six films on September 16, 2011. 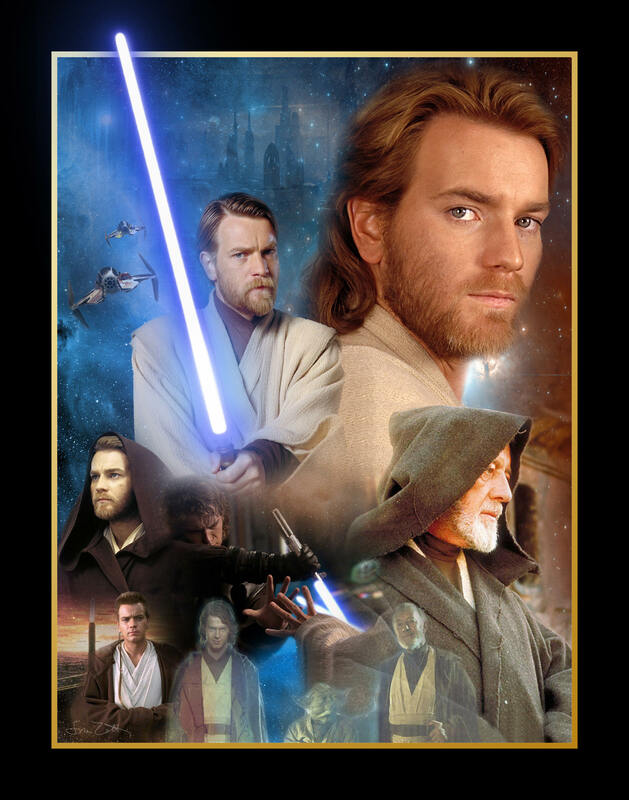 More than two decades after the release of the original film, the series continued with the long-awaited prequel trilogy; consisting of Episode I: The Phantom Menace, released on May 19, 1999; Episode II: Attack of the Clones, released on May 16, 2002; and Episode III: Revenge of the Sith, released on May 19, 2005.On August 15, 2008 Star Wars: The Clone Wars was released theatrically as a lead-in to the weekly animated TV series of the same name. 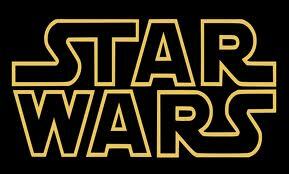 Episode VII is scheduled to be released in 2015. The prequel trilogy begins with the greedy Trade Federation setting up a blockade around the peaceful planet Naboo, under the orders of the Sith Lord Darth Sidious. It is revealed that Sidious secretly planned the blockade to give his alter ego, Senator Palpatine, a pretense to overthrow the Supreme Chancellor of the Galactic Republic and take his place. The Jedi Knight Qui-Gon Jinn and his apprentice Obi-Wan Kenobi are sent to Naboo to negotiate with the Federation, but are forced to instead help the planet's ruler, Queen Padmé Amidala, escape from the blockade and plea her case before the Galactic Senate on Coruscant. When their spaceship is damaged during the escape, they land on the desert planet Tatooine for repairs, where Qui-Gon discovers a young slave named Anakin Skywalker. Qui-Gon comes to believe that Anakin is the "Chosen One" foretold by Jedi prophecy to bring balance to the Force, and he helps liberate the boy from slavery. 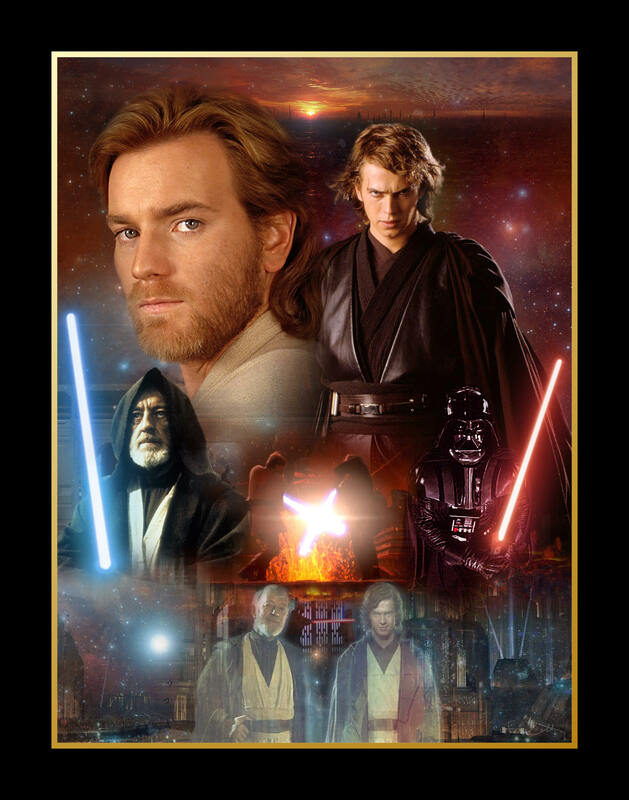 The Jedi Council, led by Yoda, sense that Anakin's future is clouded by fear, but reluctantly allows Obi-Wan to train Anakin after Qui-Gon is killed by Palpatine's first apprentice, Darth Maul, during the Battle of Naboo.The remainder of the prequel trilogy chronicles Anakin's gradual fall to the dark side of the Force as he fights in the Clone Wars, which Palpatine secretly engineers in order to destroy the Republic and lure Anakin into his service. Anakin and Padmé fall in love and secretly wed, and eventually Padmé becomes pregnant. 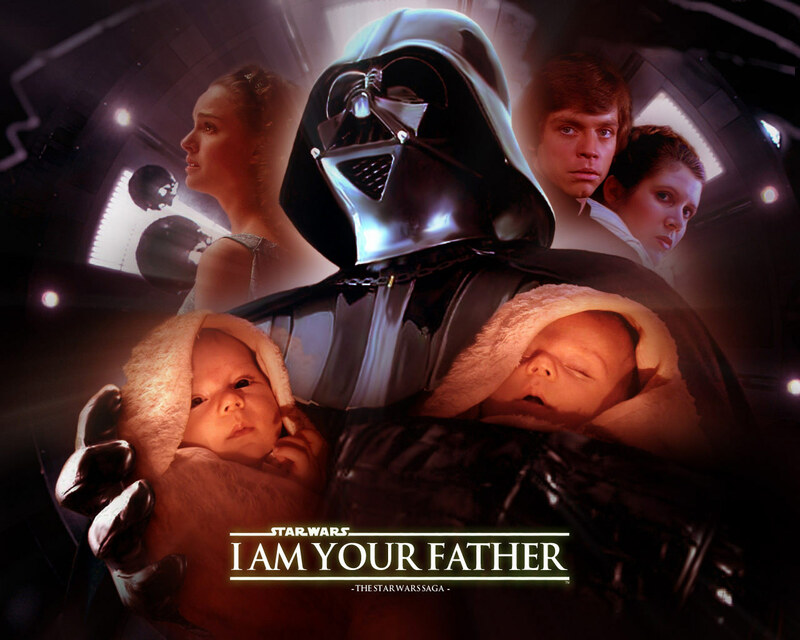 Anakin has a prophetic vision of Padmé dying in childbirth, and Palpatine convinces him that the dark side holds the power to save her life; desperate, Anakin submits to the dark side and takes the Sith name Darth Vader. While Palpatine re-organizes the Republic into the tyrannical Galactic Empire appointing himself Emperor for life Vader participates in the extermination of the Jedi Order, culminating in a lightsaber battle between himself and Obi-Wan on the volcanic planet Mustafar. 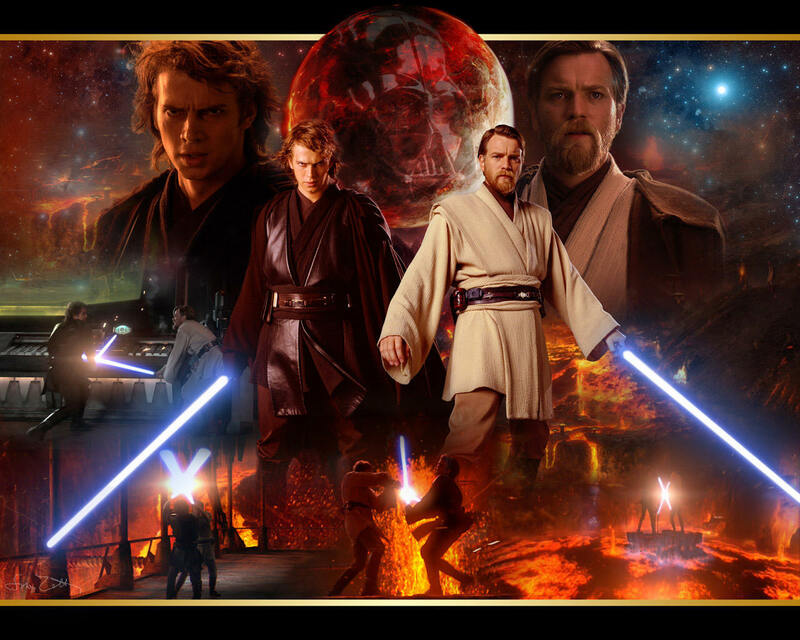 Obi-Wan ultimately defeats his former apprentice and friend, severing his limbs and leaving him for dead beside a lava flow. However, Palpatine arrives shortly afterward and saves Vader, putting him into a black, mechanical suit of armor that keeps him alive. At the same time, Padmé dies while giving birth to twins Luke and Leia. The twins are hidden from Vader and are not told who their real parents are. The original trilogy begins 19 years later as Vader nears completion of the massive Death Star space station, which will allow the Empire to crush the Rebel Alliance, an organized resistance formed to combat Palpatine's tyranny. Vader captures Princess Leia, who has stolen the plans to the Death Star and hidden them in the astromech droid R2-D2. R2, along with his protocol droid counterpart C-3PO, escapes to Tatooine. There, the droids are purchased by Luke Skywalker and his step-uncle and aunt. While Luke is cleaning R2, he accidentally triggers a message put into the droid by Leia, who asks for assistance from Obi-Wan. Luke later assists the droids in finding the Jedi Knight, who is now passing as an old hermit under the alias Ben Kenobi. When Luke asks about his father, Obi-Wan tells him that Anakin was a great Jedi who was betrayed and murdered by Vader. Obi-Wan and Luke hire the smuggler Han Solo and his Wookiee co-pilot Chewbacca to take them to Alderaan, Leia's home world, which they eventually find has been destroyed by the Death Star. Once on board the space station, Obi-Wan allows himself to be killed during a lightsaber rematch with Vader; his sacrifice allows the group to escape with the plans that help the rebels destroy the Death Star. Luke himself fires the shot that destroys the deadly space station. Three years later, Luke travels to find Yoda, now living in exile on the swamp-infested world Dagobah, in order to start his Jedi training. However, Luke is interrupted when Vader lures him into a trap by capturing Han and the others. During a fierce lightsaber duel, Vader reveals that he is Luke's father and attempts to turn him to the dark side.Luke escapes, and, after rescuing Han from the gangster Jabba the Hutt a year later, returns to Yoda to complete his training. However, now over 900 years old, Yoda is on his deathbed. Before he passes away, Yoda confirms that Vader is Luke's father; moments later, Obi-Wan's spirit tells Luke that he must face his father before he can become a Jedi, and that Leia is his twin sister. As the Rebels attack the second Death Star, Luke confronts Vader as Palpatine watches; both Sith Lords intend to turn Luke to the dark side and take him as their apprentice. During the subsequent lightsaber duel, Luke succumbs to his anger and brutally overpowers Vader, but controls himself at the last minute; realizing that he is about to suffer his father's fate, he spares Vader's life and proudly declares his allegiance to the Jedi. An enraged Palpatine then attempts to kill Luke with Force lightning, a sight that moves Vader to turn on and kill his master, suffering mortal wounds in the process. Redeemed, Anakin Skywalker dies in his son's arms. Luke becomes a full-fledged Jedi, and the Rebels destroy the second Death Star and, with it, the Empire...or so it seems. 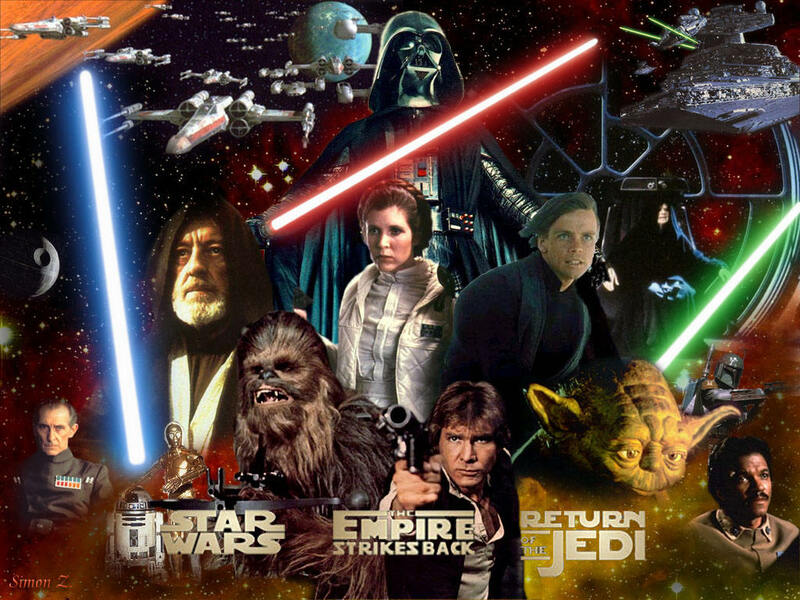 Star Wars features elements such as knights, witches, and princesses that are related to archetypes of the fantasy genre.The Star Wars world, unlike fantasy and science-fiction films that featured sleek and futuristic settings, was portrayed as dirty and grimy. Lucas' vision of a "used future" was further popularized in the science fiction-horror films Alien,which was set on a dirty space freighter; Mad Max 2, which is set in a post-apocalyptic desert; and Blade Runner, which is set in a crumbling, dirty city of the future. All six films of the Star Wars series were shot in an aspect ratio of 2.40:1. The original trilogy was shot with anamorphic lenses. Episodes IV and V were shot in Panavision, while Episode VI was shot in Joe Dunton Camera (JDC) scope. Episode I was shot with Hawk anamorphic lenses on Arriflex cameras, and Episodes II and III were shot with Sony's CineAlta high-definition digital cameras. Lucas hired Ben Burtt to oversee the sound effects on A New Hope. Burtt's accomplishment was such that the Academy of Motion Picture Arts and Sciences presented him with a Special Achievement Award because it had no award at the time for the work he had done.Lucasfilm developed the THX sound reproduction standard for Return of the Jedi. John Williams composed the scores for all six films. 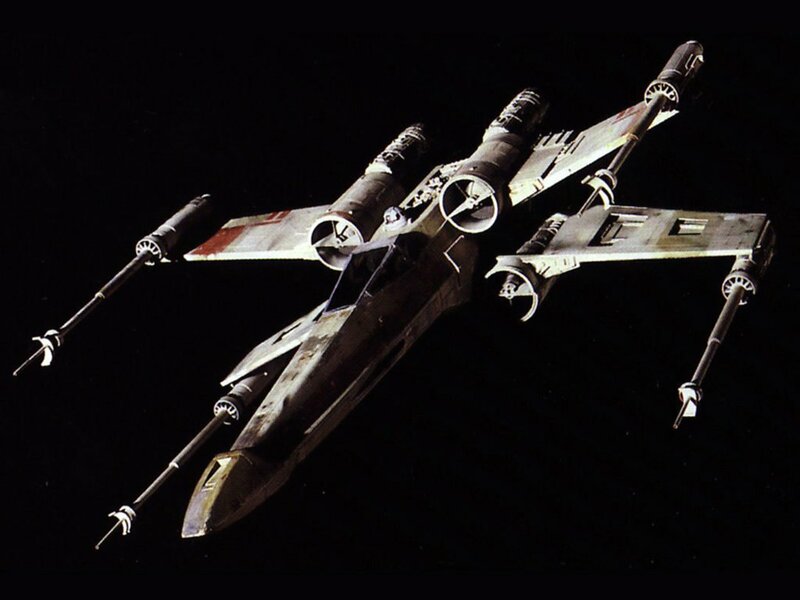 Lucas' design for Star Wars involved a grand musical sound, with leitmotifs for different characters and important concepts. Williams' Star Wars title theme has become one of the most famous and well-known musical compositions in modern music history. uke Skywalker and performed all the sword stunts as Darth Vader during the lightsaber duels in The Empire Strikes Back and Return of the Jedi, wearing Vader's costume. Anderson's role in the original Star Wars trilogy was highlighted in the film Reclaiming the Blade, where he shares his experiences as the fight choreographer developing the lightsaber techniques for the movies. The sequel trilogy was a reportedly planned trilogy of films Episodes VII, VIII and IX by Lucasfilm as a sequel to the original Star Wars trilogy Episodes IV, V and VI ;released between 1977 and 1983.While the similarly discussed Star Wars prequel trilogy ,Episodes I, II and III, was ultimately released between 1999 and 2005, Lucasfilm and George Lucas have for many years denied plans for a sequel trilogy, insisting that Star Wars is meant to be a six-part series. In May 2008, speaking about the upcoming Star Wars: The Clone Wars, Lucas maintained his status on the sequel trilogy. what happens after Return of the Jedi?,' and there really is no answer for that. The movies were the story of Anakin Skywalker and Luke Skywalker, and when Luke saves the galaxy and redeems his father, that's where that story ends." In January 2012, Lucas announced that he would step away from blockbuster films and instead produce smaller art-house films. In an interview regarding whether or not the scrutiny he received from the prequel trilogy and the alterations made on the original trilogy were a factor in his retirement, Lucas stated. At a ShoWest convention in 2005, Lucas demonstrated new technology and stated that he planned to release the six films in a new 3D film format, beginning with A New Hope in 2007.However, by January 2007, Lucasfilm stated on StarWars.com that "there are no definitive plans or dates for releasing the Star Wars saga in 3-D."
At Celebration Europe in July 2007, Rick McCallum confirmed that Lucasfilm is "planning to take all six films and turn them into 3-D," but they are "waiting for the companies out there that are developing this technology to bring it down to a cost level that makes it worthwhile for everybody". 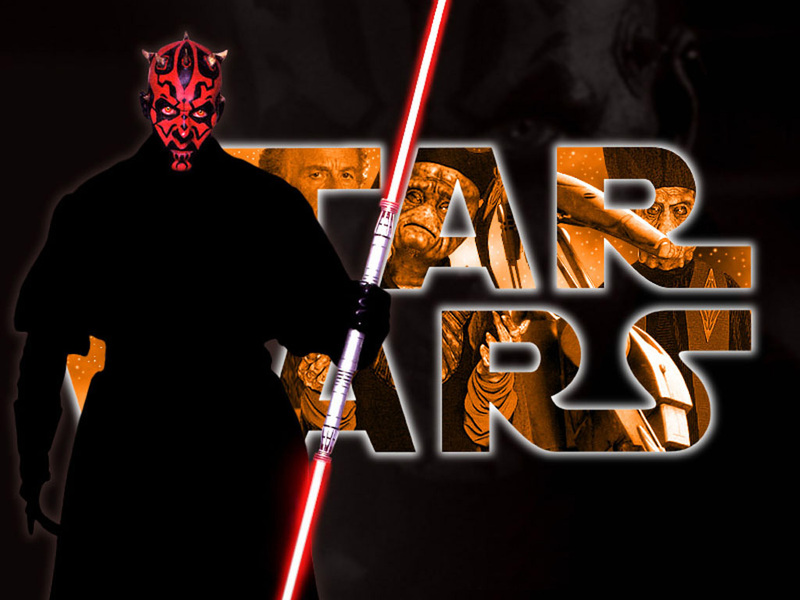 In July 2008, Jeffrey Katzenberg, the CEO of DreamWorks Animation, revealed that Lucas plans to redo all six of the movies in 3D.In late September 2010, it was announced that The Phantom Menace would be theatrically re-released in 3-D on February 10, 2012. All six films would be re-released in order, with the 3-D conversion process taking at least a year to complete per film.